Prizma A1 Tracing Paper 112gsm. 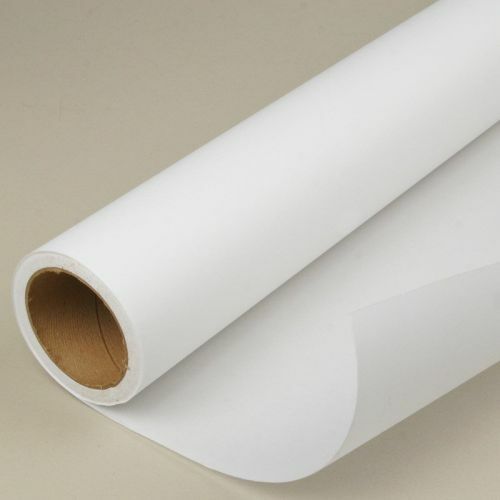 A completely uniform heavy weight tracing paper with exceptional hig..
Our high quality heavyweight inkjet tracing paper is suitable for all wide format dye & pigment inkjet printers. Used by architects and engineers for CAD overlays, design layouts and final drawings. friendly sales team can help you select the right product for your application. Inkjet Plotter Tracing Paper 112gsm fits Canon TM-200 & TM-205 Printer. A heavy weight, highly calendared inkjet tracing paper made from chlorine free wood pulp for good archival qualities. Excellent transparency for CAD overlays and final presentations with sharp black lines. For use with any dye or pigment wide format inkjet printer including HP, Canon, Oce, Epson, Xerox, and Encad. Available for next day delivery.